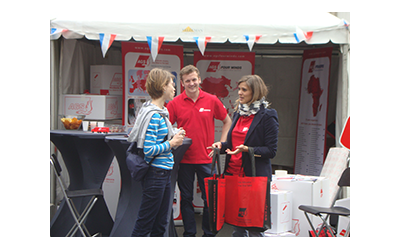 AGS Coussaert sponsored the ‘A la Française’ weekend on May 24-25, hosted in an area of Brussels favoured by French expats. AGS’ popular stand was one of 60 in a market of gastronomy, crafts and creativity celebrating the Belgian art of living à la Française. AGS Movers Coussaert sponsored the ‘A la Française’ weekend on May 24-25, hosted in an area of Brussels favoured by French expats. AGS’ popular stand was one of 60 in a market of gastronomy, crafts and creativity celebrating the Belgian art of living à la Française. 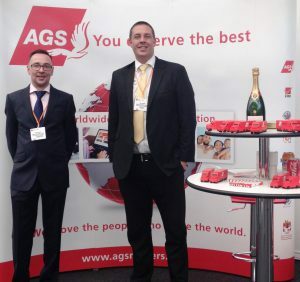 AGS Movers London participated with a stand in the recent ‘London Totally Expat Show 2014’ trade fair, attended by mobility providers and consultants. A competition at AGS’ stand saw a winner receive a bottle of champagne and a box of chocolates. 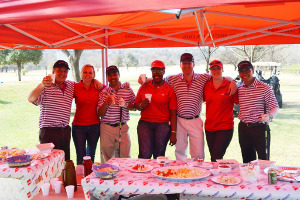 AGS Movers Johannesburg sponsored the Lycée Français Jules Verne school fête on May 31, also participating with a branded stand. As close on 1000 children attended along with their parents, it is the French school’s biggest annual event. 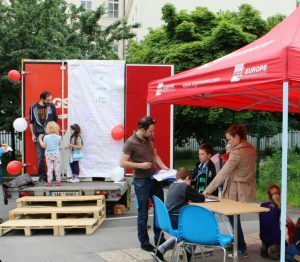 AGS Movers Prague branch recently participated in the Lycée Français de Prague’s school fair with a unique ‘Ali Baba’ game: children entered an AGS container with flashlights, recorded its contents on AGS packing lists, and the winner received a branded yoyo.